If you have been following me on any of my social media outlets during the past few months (especially maybe Instagram), you have probably noticed my rather intervention-worthy addiction to Julie's Eats & Treats Homemade Beer Bread. 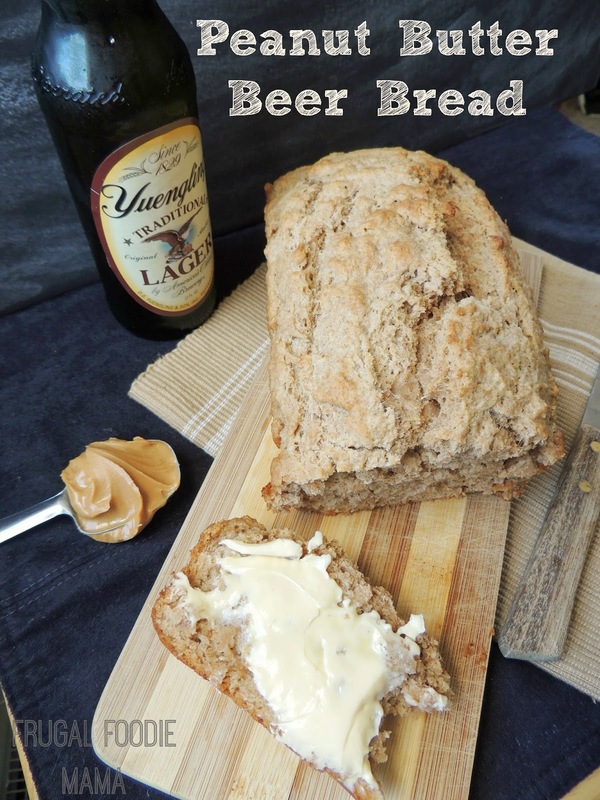 This beer bread is just so simple & turns out absolutely soft and delicious every single time that I bake it. 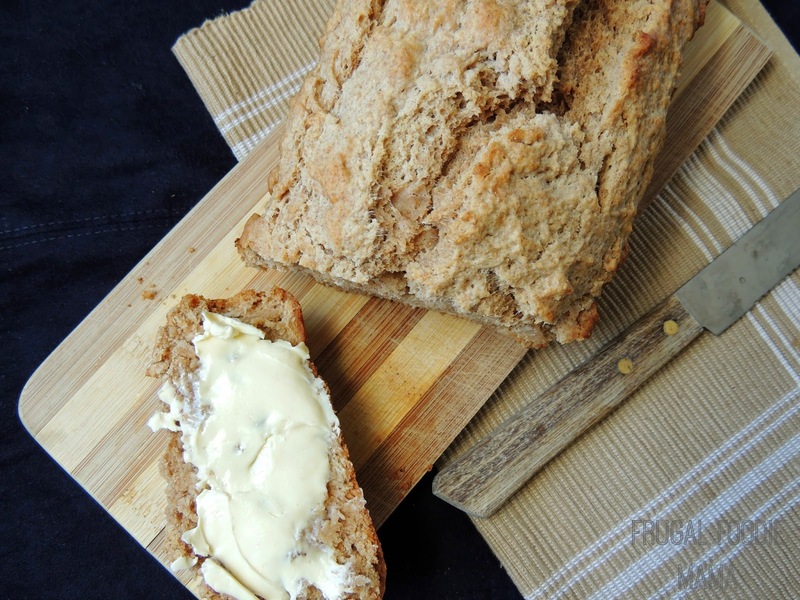 Plus, beer bread is one of those very rare homemade breads that does not require any rising time. My husband and I are both big craft beer fans. Living in bigger cities both separately and then together, we had many options as far as local breweries went. When we moved back to Small Town, West Virginia, I have to say that having easy access to good brew pubs, local breweries, and beer joints where we could build custom six packs from hundreds of craft beer choices is one of the things I have found myself missing the most about bigger city living. But early last fall, my husband and I rediscovered a craft beer gem just 45 minutes north of us at the Morgantown Brewing Company. We ordered a tasting flight of the beers that they had on tap that evening, and I was intrigued by the Nutty Blonde Peanut Butter Ale. It ended up being my absolute favorite of them, but sadly it is a seasonal brew and is no longer available there. 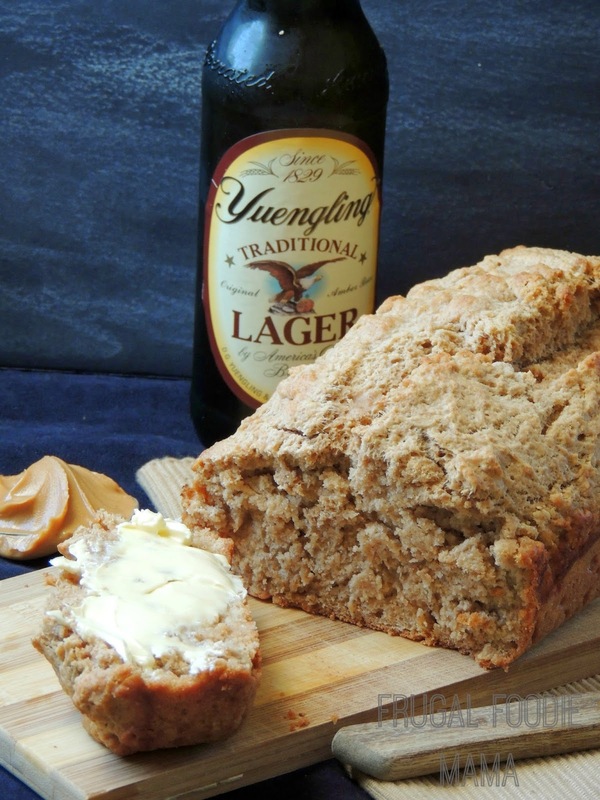 What better way to do this than by taking my favorite homemade beer bread recipe and giving it a peanut butter twist? Preheat your oven to 350 degrees. Spray a loaf pan with cooking spray. Set aside. In a large mixing bowl, whisk together the flours, brown sugar, baking powder, and salt. Pour in the bottle of beer and mix well. Once you have formed a wet dough, add in the peanut butter and stir until well combined. Turn the bread batter into the prepared loaf pan & spread evenly. The dough will be a little sticky. Pour the melted butter over the top. Bake for 50-60 minutes, depending on the size of your loaf pan. The bread will be done when the edges & top of the loaf are golden brown. Then run a butter knife all along the edges and flip the loaf out onto a wire rack to cool to warm. Slice & serve warm with butter. Adapted from the Homemade Beer Bread recipe from Julie's Eats & Treats. Beer bread is already addicting for me. I easily eat 2 thick slices as soon as it has cooled enough from the oven to eat. But adding peanut butter to it took it to a whole other level of deliciousness. Oh, and do you all remember when I participated in The Real Blogger Project a couple of weeks ago? This is the recipe post I was working on in that post!